 Why choose Gateway Property Management? Your entire portfolio will be managed by the same property manager. That Property Manager will be intimately involved with all aspects of your investments that we manage. As you, the owner, have a personal property manager appointed to your portfolio, you will have direct contact with them whenever you need. You can contact your property manager by phone or email any time day or night. We promise to respond within 1 business day to all enquiries. In todays electronic world, we all expect that we can access our required information any time we want. We provide you with access to an owners portal where you are able to see up to date information about your property. 24 hour access to recent inspections, rent status, invoices and statements. We understand that a few words in an email does not give you any understanding of what is happening with your investment. We doing any inspection (Entry, Exit or Periodic) we take a multitude of photos and detailed notes to ensure that you can see exactly how good the tenant is looking after your investment. We perform these inspections WITHOUT FAIL! Does your property manager do this for you? At Gateway Property Management we take customer service very seriously. So if you have any questions or inquiries feel free to contact us and we will reply back within 24 hours!